Of all the things that make a lawyer truly exceptional in the courtroom, there is a kind of elusive something, kind of like a “magic sauce” that makes a certain dish stand out from all the rest. In this article, I want to look at some of the ingredients that go into making a DUI lawyer exceptional, and not just another member of the larger herd. As a Michigan DUI lawyer, I spend part of just about every workday in court dealing with OWI charges. I know that my abilities are top-shelf. I talk for a living, and what does and does not happen to my clients depends very much on the words I choose, and how I arrange and speak them. For a lawyer, this is a lot different than reading documents and drafting contracts. It goes without saying that a litigator should be well-spoken, but in any profession, no matter what kind of skill or talent may be required, there is a certain level of “average” within it that’s far above everyone else. The average professional baseball player catches and throws much better than the rest of us, but even in the major leagues, some players are just superior to others. Detroit Tiger’s pitcher Justin Verlander, for example, still manages to throw a ball better than just about every other player in the pro ranks, and that makes him exceptional. In the courtroom, most lawyers are pretty well-spoken, at least compared to the population at large. That should hardly be a surprise. While there are a few “mumblers” here and there, most lawyers who earn their living in court are drawn to litigation precisely because they have an aptitude for extemporaneous speaking and thinking on their feet. What elevates the best, however, is that they are just plain better. Within any profession, from carpenter, plumber, dentist to cardiac surgeon, the median level of skill is miles above that of the layperson, but the very best within any such profession always stand out from the rest. Being articulate, however, is not enough, by itself, for a DUI lawyer to be exceptional. Every exceptional courtroom lawyer is articulate, but not every articulate lawyer is exceptional in the courtroom. Being exceptional, at least as a litigation attorney, comes down to a mixture of things, kind of like a recipe (a pinch of this, a dash of that; hence the “magic sauce” reference) that defies precise measurement. Beyond outstanding speaking abilities, the exceptional lawyer has to have an instinct to “read” a situation – particularly the Judge – and change direction seamlessly. I picked this up real early in my career. At first, I was surprised by how many lawyers didn’t know better, but I have since learned that most lack that instinct to “read the room,” so to speak, and then turn on a dime. No matter how good an argument, if the Judge isn’t buying it, the best and only thing you can do is cut your losses and try something else. When a Judge isn’t being persuaded, continuing to drone on and on isn’t going to change his or her mind. At best, you lose an opportunity to switch to a winning approach, while at worst, it’s going to push the Judge’s patience beyond its limits and you completely lose him or her, anyway. A lawyer may successfully argue to the Judge, but never with him or her. This is where that instinct comes in, and the exceptional lawyer just “knows” how its going. There are some lawyers who are great at making objections and arguing legal procedure, and those learned skills can be invaluable during a trial, but when you’re standing before the Judge to be sentenced for a DUI in the real world, you need a lawyer who can make things better for you, and a critical part of that is being able to intuit the situation and make adjustments on the fly. Consider a DUI with some complicating factor, like a really high BAC. Prosecutors not only have a job to do, but an ethical duty to not give away what amounts to a free pass to someone who’s a risk to public safety. Thus, in trying to negotiate a really favorable plea deal in a situation like this, I might address the prosecutor’s concerns by procuring a really solid substance abuse evaluation. By solid, I don’t just mean favorable, either. There are plenty of counselors out there all too ready to write up a really glowing report. Instead, I mean a comprehensive and thorough evaluation that will address the prosecutor’s concerns from a counselor of unimpeachable integrity who will specifically address the high BAC issue (as it turns out, a good evaluator will not give a “free pass,” and instead probably recommend some kind of genuinely helpful program of education or counseling). The instinct I’m trying to describe means just knowing what to do, and what to have as a “plan B,” as well. It goes without saying that everyone facing a DUI wants to hear good news. Being exceptional not only means doing everything possible to produce that “good news,” but also resisting the temptation to just tell the client what he or she wants to hear. It is easy to make things sound really promising, especially when, as a lawyer, you can use all kinds of word that lay people don’t understand and just create an impression that everything will likely go away. Not only is that easier than leveling with someone when things aren’t so good, it’s a hell of a lot more profitable, as well. The exceptional lawyer could do that all day long and make a lot more money, but then he or she wouldn’t be exceptional. There is always a way to make things better, and the exceptional lawyer will do that to the fullest extent possible, but not by misleading the client. Good lawyering means being the best advocate possible for the client while also being a faithful custodian of honesty and integrity. Of course, part and parcel of what I consider “good lawyering,” and something I bring to the table, is consistent experience in the same local courts and Judges day-in and day-out. Rather than take cases all over the state and get in front of some Judges once in a lifetime, or every once in a while, I concentrate my DUI practice in the Tri-County (Wayne, Oakland and Macomb), Metro-Detroit area, so I know ahead of time how the various Judges work, and that what will “fly” with one Judge won’t with another. Within the Detroit area, you have a lot of district Judges , each with his or her own unique approach to DUI cases. If your lawyer doesn’t know what any particular Judge is all about before walking into court with you, then anything you pay him or her is more like tuition, rather than legal fees. As I noted above, being articulate is important, but it’s hardly enough. Charisma is also very important, in the sense of being able to persuade. I remember sitting across from a prosecutor some years ago, and we could hear the booming voice of a then well-known lawyer approaching from down the hall. At the very sound of his voice, the prosecutor rolled his eyes and sighed, because as “tough” and “aggressive” as this guy was, he also lacked a sense of savoir-faire, and was the proverbial “in your face” kind of guy. Whoever hired this fellow thought they got a real pit-bull without realizing that his general disposition was deficient of the kind of finesse important to procuring the best outcome possible, and was rather widely held in low regard. To put this more bluntly, you’ll never mistake a blowhard for someone savvy, or sophisticated, and those are qualities found in every exceptional lawyer. Whatever else, the “magic sauce” is far more delicate and subtle than it is overbearing. 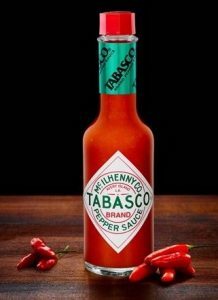 In the span of my 25-plus year career, I’ve only heard about 4 or 5 lawyers in court who had the “magic sauce.” Now, to be sure, I’ve heard, and know, plenty of great lawyers in whom I’d place my complete trust to evaluate the evidence and handle or try a case on my behalf. That, however, is a different skill set. If it came down to me standing in front of a Judge who had to decide what to do to me in the case of a criminal or DUI charge, I’d simply to elbow any of them aside and speak for myself, because, as good as they might be with the technical, legal stuff, I know I have that “magic sauce,” and they don’t. You can get a sense of this within my blog articles. Seriously, anyone who has written 50 or 60 articles will have refined the “voice” with which he or she communicates. I’ve written over 300 articles specifically about DUI, and 800 overall on my blog, so my approach and my voice come through crystal clear. And that’s really what you’re looking for. Who provides information and is a clear communicator? Who sounds like they can negotiate for you without being abrasive, on the one hand, or without being too meek, on the other? Not to add too many ingredients to the stew here, but you also want a lawyer who presents with a sense of authority and class. You can glean whether this is present or not if you take the time to read, and read between the lines, as well. And for all of that, the absence of a voice, or real information should tell you something, as well; this is 2017, and we are well into the information age. If you’re facing a DUI or other criminal charge (especially one that arises as a result of or from the operation of a motor vehicle) in the Greater-Detroit area, do your homework. Check around. Read. When you’re ready, ring my office. All consultations are done conveniently and confidentially over the phone, right when you call. You’ll find us here to help, Monday through Friday, from 8:30 a.m. until 5:00 p.m., at 586-465-1980.